From the street, 1345 East Susquehanna Street looks every bit the lucky survivor it is: a church whose congregation merged with another, leaving behind a structure that could have easily been knocked down. Fortunately for Dominic Episcopo, he was about a decade ahead of the curve, in 2004, when he purchased the former Siloam Methodist Episcopal Church. The commercial photographer Episcopo’s attractive live-work space, which has a rentable studio in the basement, is only one of many examples of the successful reuse of an old building in a traditional neighborhood adapting to an influx of new blood. Roland Kassis’ Domani Developers has shaped the new look of Frankford Avenue through a collection of old bones (Inga Saffron profiled him last year), while A-Frame has quietly remade two dozen properties over the past five years, including the transformation of an old deli into the best pizzeria in America, a different pizzeria into a LaBan-approved bagel shop, and other insta-classics like Martha and Wm. Mulherin’s Sons. Below are 15 profiles of Fishtown adaptive reuse from over the past decade. SIGNIFICANCE: Siloam M.E. Church formed for the Kensington community in 1860, and the building on the corner of Otis Street (now Susquehanna Avenue) and Siloam (now Livingston) Street was dedicated in 1876. Siloam merged with nearby Summerfield United Methodist Church in 1999, and Episcopo purchased his semi-namesake church five years later. Originally built as the one-story Building #5 for Morse Elevator Works in 1885, it was expanded to its current size in 1892. And interestingly, while the Morse buildings on the 1100 block of Frankford are designated historic, it’s this Shackamaxon frontage that has the most visible reference to Morse, in the brickwork as shown in the photo composite above. SIGNIFICANCE: This small but handsome sandstone church stands as not only an early adapter, converted to apartments over a decade ago, but also as the catalyst that rallied a community. Because the East Montgomery Church had already been successfully converted and rented out as apartments, neighbors protested a developer’s plan in late 2015 to demolish it and build new townhomes in its place. The preservationists started a petition that gathered hundreds of signatures, organized a Neighborhood Preservation Alliance (NPA), and successfully (and peacefully) convened a meeting with the developers and broker Ori Feibush. The church was re-listed with a March deadline in hopes that a buyer would buy and preserve it. One did, and now NPA, along with Kensington/Olde Richmond Heritage (KORH), exist to provide grassroots preservation advocacy and outreach services. SIGNIFICANCE: Another early adapter, Memphis Flats opened in 2008, the first upscale listing this deep into Fishtown. A hulky four-story brick-and-concrete industrial space overlooking Palmer Cemetery, it was in the early 20th Century for baseball man A.J. Reach’s growing sporting goods empire. It was later used as a Pepsi Cola bottling plant and as a popcorn factory. SIGNIFICANCE: The original building for the original Phillie. After becoming one of baseball’s early stars as a player, Al Reach retired and founded the Philadelphia Phillies in 1883. He also founded the A.J. Reach Company, which became the largest manufacturer of sporting goods (including the official baseballs of the American League and a prototype baseball helmet) until he sold the company to rival Spalding, which still produces sporting goods as a subsidiary of Russell Brands (i.e. Russell Athletic, not Russell Brand). Domani Developers stepped up to the plate to bring this apartment conversion online from a long vacant shell. Now, they’re doing the same to another former blight a block up Memphis Street. SIGNIFICANCE: As mentioned yesterday, the former Brownhill & Kramer Hosiery Mill is on the National Register of Historic Places, but not the Philadelphia Register. It could have been demolished by right, but Domani Developers chose to keep the landmark, and are in the process of converting the mill along Memphis into 57 apartments, with rebuilt townhomes on the Columbia side. SIGNIFICANCE: The McDonald brothers—Patrick, Tim, and Johnny—have made Kensington’s Onion Flats one of the city’s most recognizable design/build firms over the past 10-15 years, and Rag Flats was their first big dance. This project is particularly interesting for its Soldier-Field-like contrasts in contemporary and classic; it features bright yellow and green panels and corrugated metal, plus sustainable features like porous pavers, garden roofs, and solar panels, built onto and within the 19th Century Hamilton & Rainear Wireworks skeleton. SIGNIFICANCE: Another building on the National Register but not the local register, H.W. Butterworth and Sons Company was a metal foundry built in phases. The oldest part, along York Street, was built in the 1870s, while the large corner building was added in the 1920s. With dynamic work space, 2424 Studios has a ton of tenants, most visibly Mugshot Diner (not to be confused with Mugshots Coffeehouse) and Liberti Church East. SIGNIFICANCE: Not all adaptive reuses must start with a historic factory or church. In the case of Bluecadet, no one is really sure of the origins of the building, just that at one point there was a vinegar factory at the location and that it was thought to have been a mechanic most recently. Whatever the case, the digital design agency’s reimagining of the space was so well received that the kickoff party to last year’s DesignPhiladelphia, the 10th annual, was held there. Meanwhile next door, Philadelphia Record Exchange relocated from their longtime home on South Street to a refitted 19th Century worker home. SIGNIFICANCE: Another example of making a whole lot out of not much. This low-slung, utilitarian shell at Frankford and Thompson served AAA Welding Services well until their relocation to Juniata Park. Bottle Bar East opened in 2012 with what’s arguably still the best draught list in town, Kensington Quarters opened in 2014, and Cake Life is readying for its opening this year. SIGNIFICANCE: If Frankford Hall ushered in Fishtown’s new republic, La Colombe stepped into its presidency. Philly’s Richard Stokes Architecture designed both places, as well as Fetta Sau, Joe’s Steaks, and Lutheran Settlement House’s renovation, so they’ve got almost as big a hand in Frankford Avenue’s revival as does Domani Developers, who brought La Colombe’s new flagship coffee shop and rum distillery to this former industrial storage building. Next door, Jinxed (already with locations at the Piazza and in South and West Philly) opened its Fishtown vintage goods outpost in a former warehouse briefly inhabited by Hammarhead [sic] motorcycles. SIGNIFICANCE: The Ajax Metal Company built four buildings from 1893 into the 1940s in a complex at the foot of Frankford Avenue, where Allen, Canal, and Richmond Streets come together opposite Delaware Avenue from the riverfront (and, uh, SugarHouse). Ajax operated metal smelting and refining production into the 1950s, after which the buildings were used as warehouses. Those were vacated in the 1990s, and the building became a favorite target of graffiti writers. Architecture firm EwingCole’s interior designers retained much of that patina for an intentionally gritty feel for the Live Nation venue with a capacity of 2,500. A secondary venue upstairs, The Foundry, borrows its name from the Ajax days and maintains the original smokestack running from the floor through the ceiling and roof. SIGNIFICANCE: East Baptist Church opened in 1890 (see vintage postcard of the building before its unfortunate stucco siding at Library Company of Philadelphia HERE), built to replace the smaller 12th Baptist Church on the same site. In 2006, Woolston Child and Family Center, a preschool named for East Baptist’s minister at the time of its opening, became the first adaptive reuse of the church. The 7,200 square foot building is currently mid-conversion into 15 apartments. SIGNIFICANCE: Memes. You probably either love them or hate them. If you love them, you probably got a rise out of the starter pack, or starter kit, round that came about in 2014. 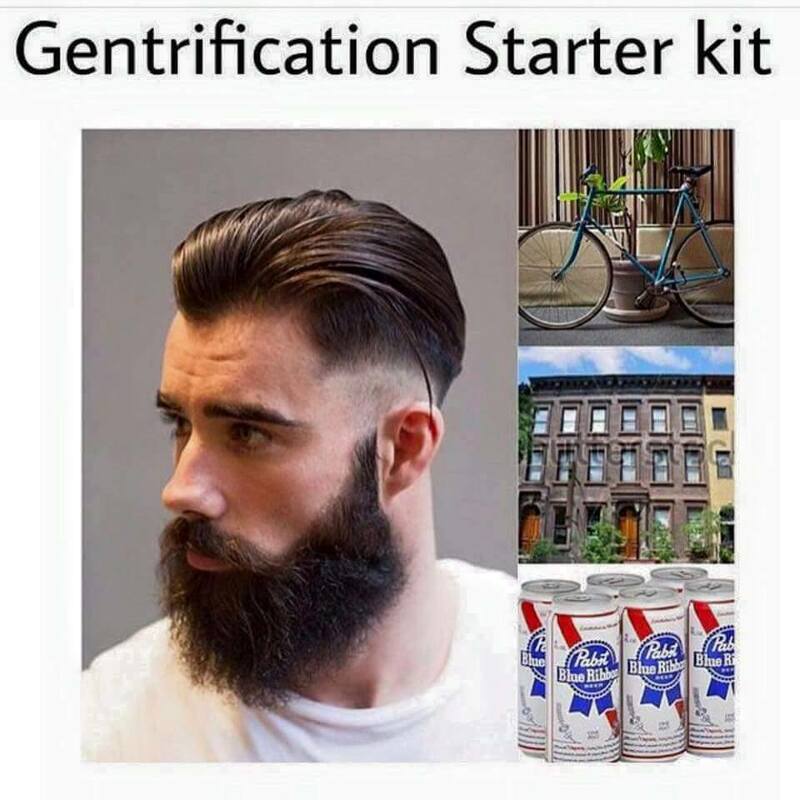 A widely circulated “gentrification starter pack” included Pabst Blue Ribbon; for the starter kit, “I just gentrified your neighborhood” sees Shepard Fairey at one of his murals. In this one major remaining vacant cog of Frankford Avenue, you get both! In 2008, Pabst installed a guerilla mural on the side of the tall building, and L&I had them remove it for doing it without permits. Fairey’s mural Lotus Diamond was unveiled with much fanfare in August 2014; within a week, it was tagged up (and then those tags buffed over). The mural was to foreshadow what might eventually become a hotel from Domani Developers. In a rendering shared by Philly mag, the hotel project would restore the seven-story building and add a new six-story building between it and the rowhome up the block at 1242 Frankford. The new building would feature an upper level lobby that showcases the mural internally. The faded Italianate building was originally built as a brewery by William Heimgartner, who operated Kensington Brewery there at the turn of the 20th Century. Its most recent incarnation served Arctic Storage and provided practice space for bands. Tomorrow, we’ll complete the journey from the old to the new with part four: a look at new construction in Fishtown over the past ten years. I do wish writers would not confuse architectural styles so hastily (the Inquirer does this repeatedly) – gothic architecture, whether medieval, academic or Victorian presupposes pointed arches. Romanesque architecture on the other hand uses the round “Roman” arch. Aside from my carping on mimor details. the series is terrific Mr Maule. Yes I love this series and the wonderful pictures, thank you so much Mr. Maule. In my old neighborhood there are 2 churches that, from what I can tell from Google maps, are still being used as churches. Lehigh Avenue and 9th street, either side of the Avenue catty corner to each other. if you stretch it a few blocks in either direction up or down Lehigh, there are two others. So there are a few of the old churches managing to dodge the wrecking ball. I am so elated to see Fishtown being revived.It is the area of my birth and Education.I know mostly all of these locations, and have fond memories.I love to go there and see all of these changes with my son.It is truly amazing! I have lived in three seperate homes from 1952 to 1977. 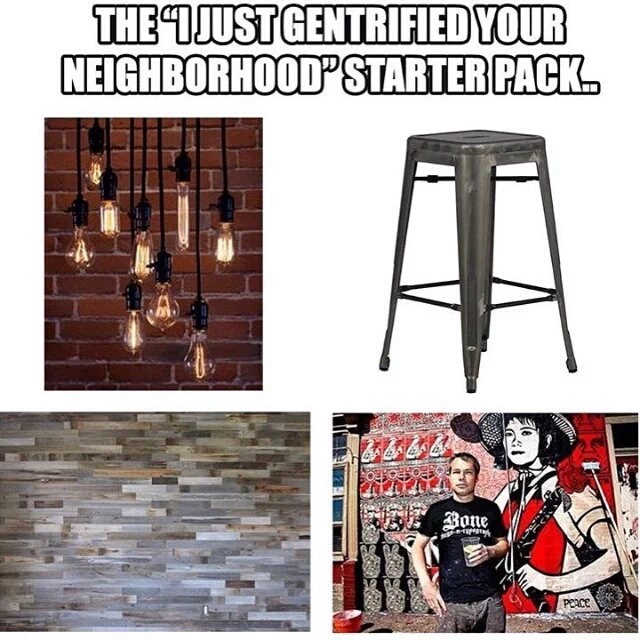 I always knew it would gentrify eventually. I like to think of myself as being a pioneer at one time,after my marriage,in 72 purchasing a renovated home for 22,000 dollars, unheard of in those days. would be 500,000 now for sure! Keep up the wonderful reporting,Hidden City, and I must catch up on your articles! Thanks! I’d like to share two views of Brownhill & Crammer if hadn’t done so before. I am thankful that Roland Kassis and his partner Jules welcomed me to take these pictures and giving me their time to do so.